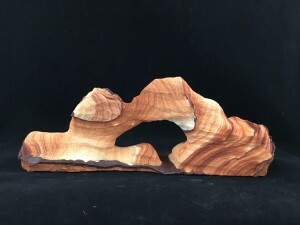 At Daryl’s Rock and Wire Works, we specialize in custom orders. Design your own cake topper, and we’ll make your idea a reality. 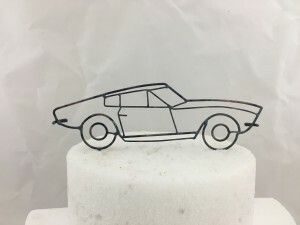 Many of the cake toppers Daryl makes come from customer drawings. You can view some of them below, and some in the Gallery. The process to design your own cake topper and have it made is simple. Step 1: Draw your design. 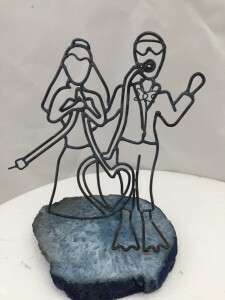 We can make your cake topper directly from the drawing or use the drawing as a starting point. 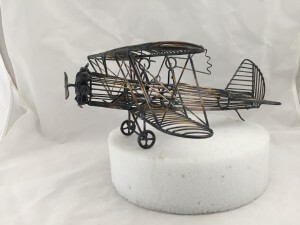 We can even make cake toppers, ornaments, and sculptures from children’s drawings. If you don’t feel comfortable with your drawing ability, give us a list of some ideas you have. You can e-mail any ideas or drawings by going to our Contact Us page. Step 2: Get a price. Once we have an idea what you want, we will get you a quote on what it will cost Daryl to make it. Step 3: Go to the online store. We’ll make a special listing in the store where you can pay for your cake topper. Step 4: We make your cake topper. Once we have seen your payment come through PayPal, Daryl will start work on your custom cake topper. 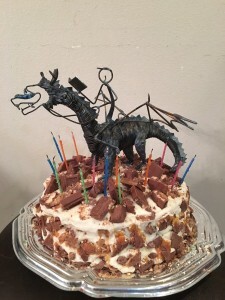 The time it takes to make the cake topper will depend on the detail. Daryl finishes most custom cake toppers within a week. Step 5: Approve the cake topper. 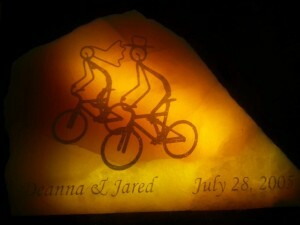 Finally, when the cake topper is finished, you’ll get an e-mail with pictures of it. If you’re happy, we’ll get it shipped. If there are changes you’d like made, we’ll make them. We strive to make sure each customer is happy with their order and experience at Daryl’s Rock and Wire Works. Step 6: Your cake topper is shipped. Shipping within the United States usually takes 3-4 days. I need 2 cake topper by Thursday is that possible? We might be able to get two cake toppers to you by Thursday. What two are you interested in?